Last week our Melbourne guests thoroughly enjoyed their birding experience here at Sweetwater. Sightings included the rare White Goshawk, Golden Bowerbird, Satin Bowerbird and the Chestnut-breasted Cuckoo in addition to the Blue-faced Parrot Finch. 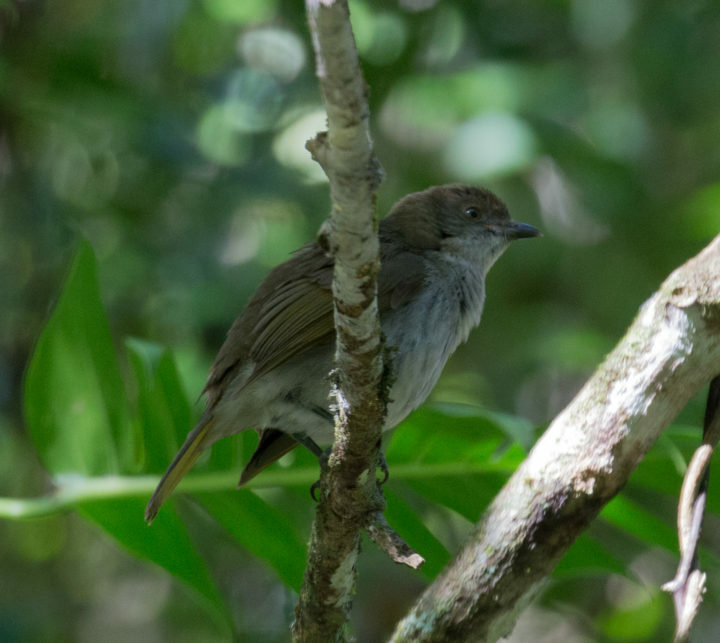 Our guests showed their photography prowess and managed to get a great shot of this juvenile male Golden Bowerbird who they spotted half way up to the weir on our private rainforest track. Not usually seen at the lower altitudes it was a great sighting. This was at about 420m above sea level. Mt Lewis National Park, just 5 mins. drive from Sweetwater and rising to 900m above sea level, is the favoured place for sighting this gorgeous Wet Tropics endemic but with the help of our experienced guests we are gradually ticking them all off here at Sweetwater, a fabulous property for bird-watching! No need to race off elsewhere in the mornings!